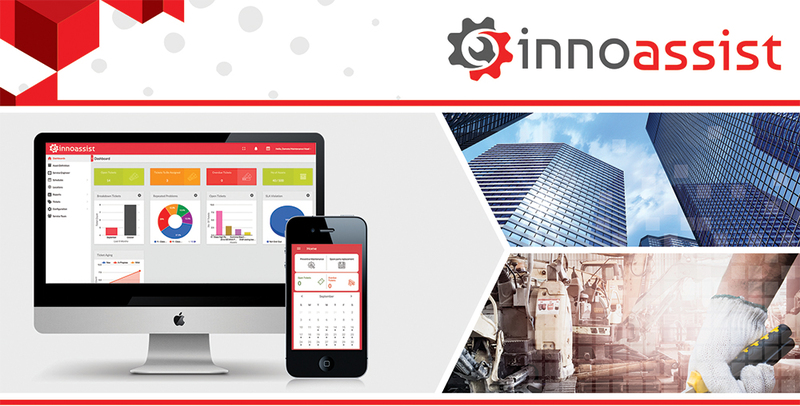 InnoAssist is a cloud-based equipment maintenance management system (Cloud CMMS) that organizes, tracks and schedules your maintenance activities from anywhere, at any time through web and mobile applications. InnoAssist is built to manage the preventive maintenance for all equipment across all industries. InnoAssist can be configured to the way you want to operate without changing your existing maintenance processes while improving efficiency. InnoAssist is designed with rich and state-of-art user experience which makes usability easier. InnoAssist's paybacks and saving are immediate, it starts the moment you deploy it. Reduce unknown incidents and improve equipment reliability with proactive & preventive maintenance processes. Improve operational reliability with proper managed and monitored maintenance activities. Overall Performance benchmarking with KPI of assets, personnel, processes & maintenance management. Monitor key measures including workforce productivity, PM compliance, downtime, overdue tickets & SLA violations. Scheduled & managed activities increases efficiency and eliminated idle time wastage. Expedite overall activities closure while improving accuracy with seamless automated processes. Mange operations in parallel with ease, enabling better utilization of resources. Manage all the contracts, compliance, asafety procedures and other operationas standards for workforce, worksite and sub-contractors. innoAssist is a cloud based CMMS in Malaysia, Singapore and Indonesia. It includes both iOS and Android app for comprehensive utilization. innoAssist is best cloud based CMMS with iOS and Android App, Malaysia, Indonesia, Singapore and Thailand. Cloud based CMMS MALAYSIA, SINGAPORE, INDONESIA, Malaysia, Johor Bahru, Kuala Lumpur, Klang, Shah Alam, Klang Valley, Penang, Ipoh, Kuching, Sibu, Bintulu for total maintenance management with web and apps.